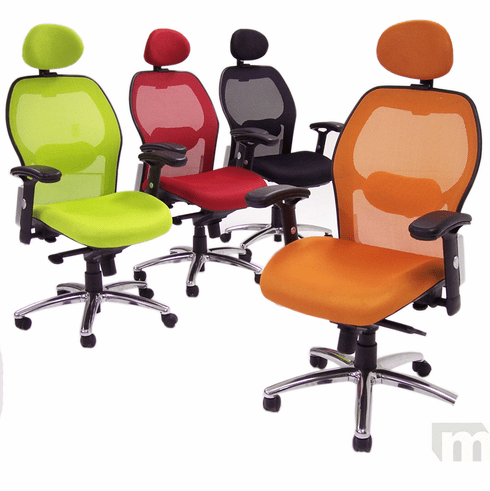 This ergonomic office chair is a good choice for all-around office, meeting room use. It's not only good looking, but it's comfortable. Best of all it has a knee-tilt tilt mechanism. Knee-tilt mechanisms shift the pivot point of the tilt forward behind your knees so that when you tilt you drop slightly at the hips and bend at the knees. Unlike a standard tilt your feet and knees don't raise up. 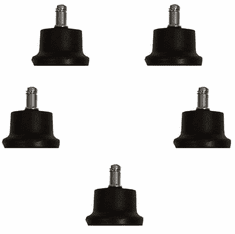 It's a more natural tilting sensation that doesn't cut off circulation under your knees. You can lock the multi-position tilt in place or let it flow freely. There is a tilt tension knob to adjust the tilt resistance, plus a gas lift height adjustment. 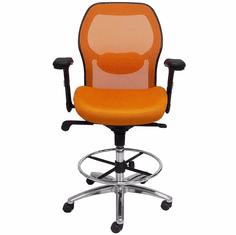 The Ergonomic Mesh Back Office Chair with Headrest also has a breathable and durable mesh back with comfortable contours and in/out adjustable lumbar support -- this is a feature our showroom customers have really liked, in addition to the knee-tilt mechanism. The seat has a soft mesh over a firm contoured foam cushion. It also has arms that adjust for height and width topped with soft contoured arm pads. The headrest has a height and angle adjustment. The headrest can be removed if desired. The polished chrome base adds a nice accent. 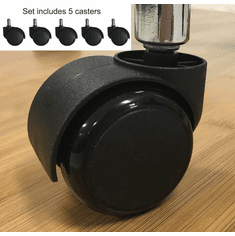 Dual wheel carpet casters. See soft casters for hard floors below. This chair is 25"-27"W x 23"D x 37-1/2"-40-1/2"H (top of backrest) overall. 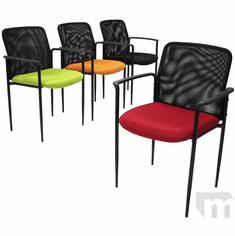 The seat measures 20-1/2"W x 20"D x 18"-21"H. The backrest is 19-3/4"W x 21-1/2"H. The headrest measures 10-1/4"W x 7-1/2"H and adjusts from 8" - 9-1/2" above backrest. The width between arm posts is 20-1/2"-22-1/2"W. Ships unassembled. Shipping weight 46 lbs. All components exceed ANSI/BIFMA commercial use requirements. Meets CA fire foam approval. 5-Year Limited Warranty. PRICE INCLUDES SHIPPING! IN STOCK!